We now offer our popular Deluxe Bucket Seats and Fold & Tumble rear seat as a complete set for added value. Available in Black, Gray or Spice. 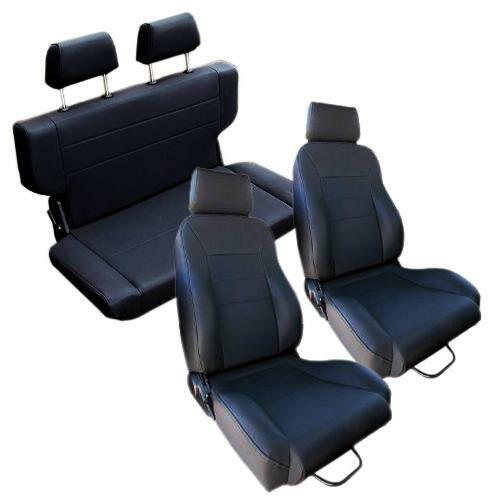 The front buckets and rear bench are all made of the same Denim Weave Vinyl material to ensure a perfect match. This materialis water & weather resistant making it perfect for those who like to ride with the top off. NOTE: Seat color may vary some from picture. Picture is for illustration.